The University of Auburn-Montgomery advanced to the 1990 NAIA College World Series championship game and Tyler Williams sealed the win. Williams went six innings of relief and gave up just two hits to St. Francis as Auburn-Montgomery prevailed 4-3. Williams went on from that performance to soon turn pro. His pro career, however was brief. He played a single season, 17 outings. 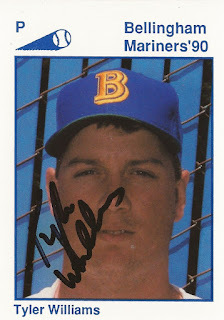 Williams' career began and ended that year, signed by the Mariners as an undrafted free agent out of Auburn-Montgomery. Williams played his high school ball in Iowa at Davenport North. He's included on a long list of Iowans who became professional athletes. He then played at Auburn-Montgomery from 1988 to 1990. Auburn-Montgomery came up short in the 1990 NAIA title game against Lewis-Clark State College, 9-4. 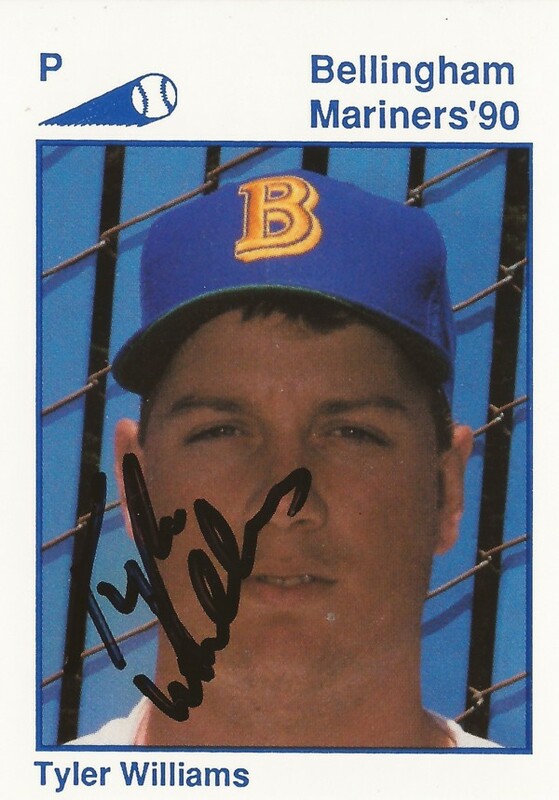 With the Mariners, Williams played his year at short-season Bellingham. He got into 17 games, all in relief. He picked up one loss, two saves and a 4.55 ERA to mark the extent of his career.